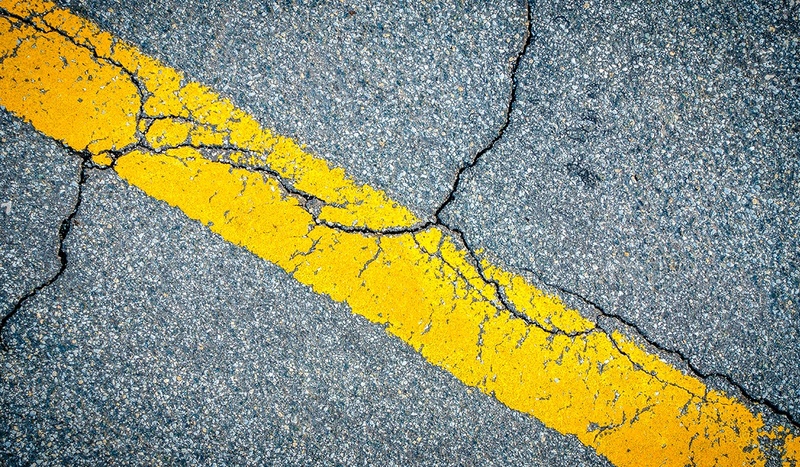 Cracks, when left unchecked, will lead to more serious damage to your parking lot or driveway. 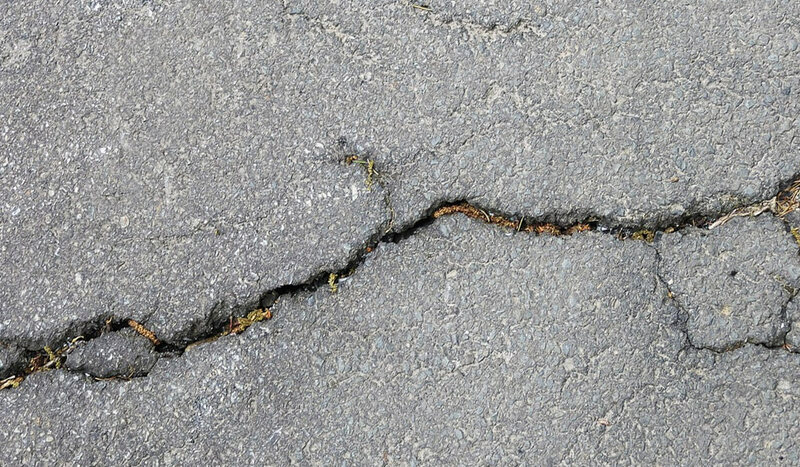 The best way to prevent this deterioration is to repair cracks in your asphalt surface as soon as they appear, no matter what season it is, or how small they may seem. A common misconception is that an asphalt surface is only at risk of deterioration during the winter months, when water penetrates the surface and expands as it freezes, leading to cracks and potholes. While this is one of the greatest threats to an asphalt surface and leads to an inevitable increase in potholes, freezing water is not the only threat that your parking lot or driveway faces. Your asphalt surface is under constant attack from the elements and existing cracks give those elements a foothold to create further damage, no matter what time of year it is. Fair weather in the spring and summer supports weed growth, which adds moisture and damages the surface with its roots. The repeated freezing and thawing of water during the freezing temperatures in winter breaks apart the surface even more. Rain throughout the year gets into the cracks and erodes the foundation underneath the asphalt. In other words, there is no time of year in which it’s safe to leave cracks unrepaired. The best time to repair cracks is as soon as you see them. Waiting for better weather to come around before you head outside to repair cracks might seem like a tempting idea, particularly in the cold winter months, but this would be a mistake that will only cost your more time and money in the long run. There is no such thing as a harmless crack, no matter how small it seems, and given time, all cracks will continue to expand, enabling more weeds and more water to penetrate the surface. Before you know it, that small crack will become an unsightly, and potentially dangerous, pothole. As long as the temperature is at least 40 degrees Fahrenheit, the best way to avoid this is to repair cracks immediately. The good news is that in addition to being one of the most important steps in maintaining your asphalt surface, repairing cracks is also one of the easiest, and something that anyone can do on their own, without having to hire a contractor. 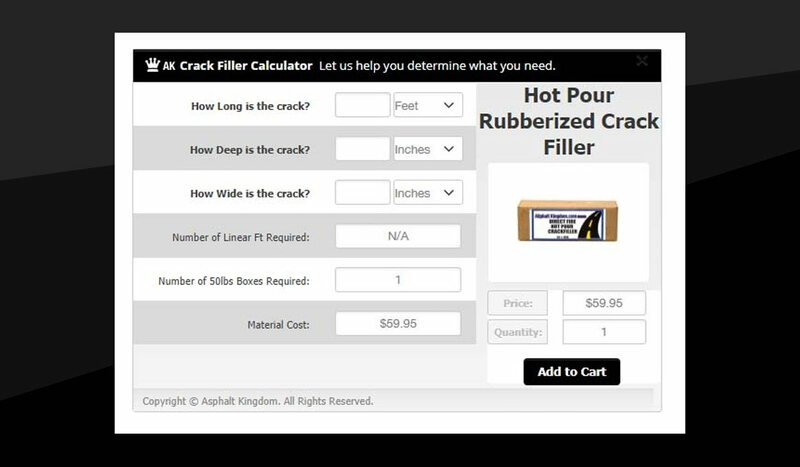 Read our Crack Repair page to learn more about how you can save money and protect your investment by repairing cracks yourself.